Do you want to develop the skills needed to be a leading IT professional? Our BSc (Hons) /MSci Computer Science course will develop your skills in producing computer systems solutions. You will gain a sound mathematical and scientific understanding alongside developing the professional attitude needed in industry. 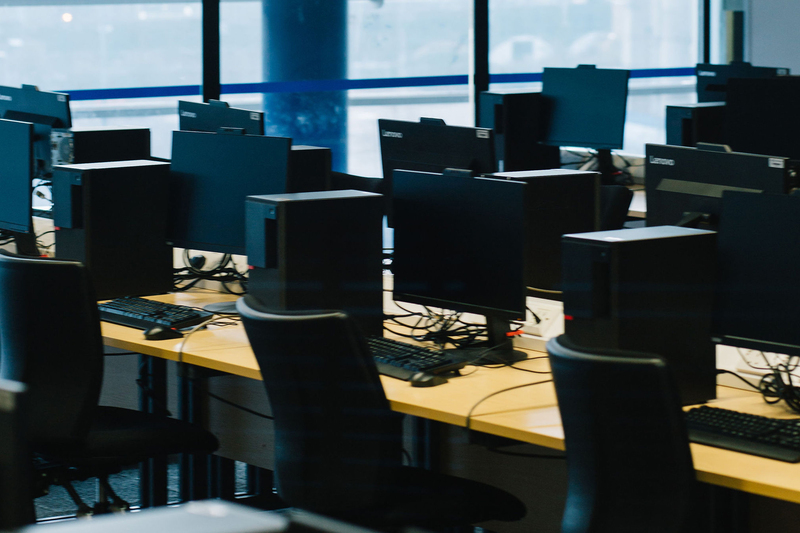 While studying your Computer Science degree with us, you’ll also have access to dedicated industry-standard facilities in a fully equipped lab running the latest software. 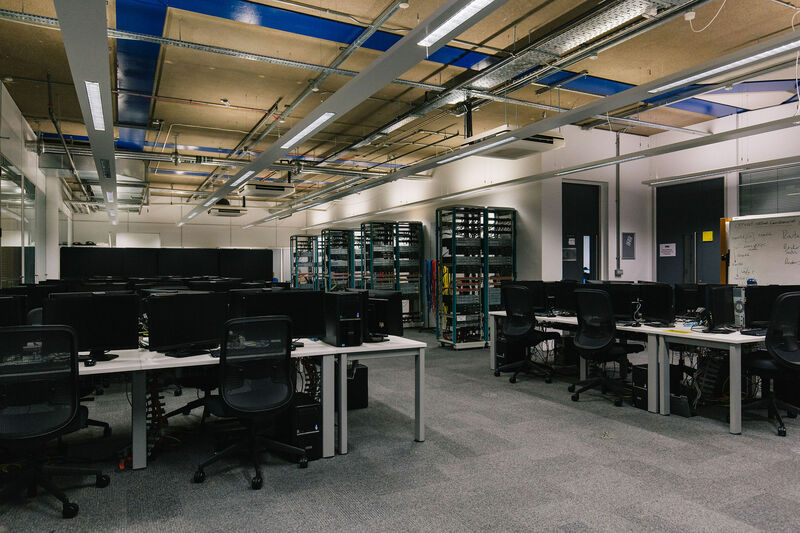 Plus, we’re home to a Cisco Systems, a Microsoft Academy Centre and Amazon Web Services Academy (AWS), so you can rest assured, knowing your university course will prepare you for a successful career in the industry. Studying computing with us puts you at the heart of an exciting, innovative community. You will study the fundamental concepts of computer science in your first year, including computer programming, data structures and algorithms, information systems, computer networks and computer architecture. Part of your first-year assessment will involve taking part in our annual Innovation Fest, where students get together to solve society’s problems with creative technology. Previous projects have included medical assistance drones, accessible gaming controllers, and smart housing solutions. The event brings together students, academics and industry guests, so it’s a great way to have fun, build experience and network, and win prizes! In your second year, you will consolidate your learning by studying advanced subjects that emphasise software engineering skills. You will also be introduced to topics such as operating systems, cyber security, discrete mathematics, and web application development. In your final year, you will broaden your understanding of computer science by studying specialised subjects like artificial intelligence, cloud computing and wearable computing. In addition, you will complete an individual project in order to demonstrate your technical skills and general employability in preparation for career progression. The individual project simulates typical graduate workplace tasks that require in-depth knowledge and skills in a specific area of computer science. This will include consideration of wider issues and the ability to manage activities and resources, and to generate, implement and report on solutions to meet task objectives. During your course, you’ll have the opportunity to take a sandwich placement year between your second and third year. This is something we recommend highly, as it will give you an invaluable opportunity to hone your expertise, try out a potential career path and get relevant workplace experience that is valued by many employers. It will also boost your CV. Throughout your studies, you’ll be supported by our expert teaching staff, all of whom have a wide range of research and industrial experience in areas such as computer security and software engineering, which they use to enhance the curriculum. This Computer Science course has been carefully designed to provide you with a comprehensive academic background that combines the professional skills that will set you apart from your peers. 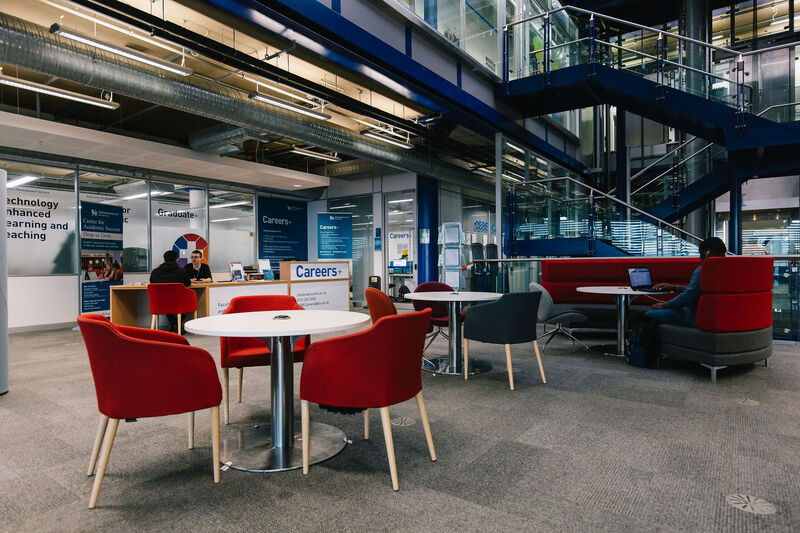 You’ll be based in the Millennium Point building in our City Centre Campus, where you’ll have at your fingertips an array of professional-standard facilities with which to develop your key practical skills and consolidate your academic learning. Thanks to our strong partnerships with the Linux Professional Institute (LPI) and the Oracle Academy, you’ll have enviable access to leading industry knowledge. 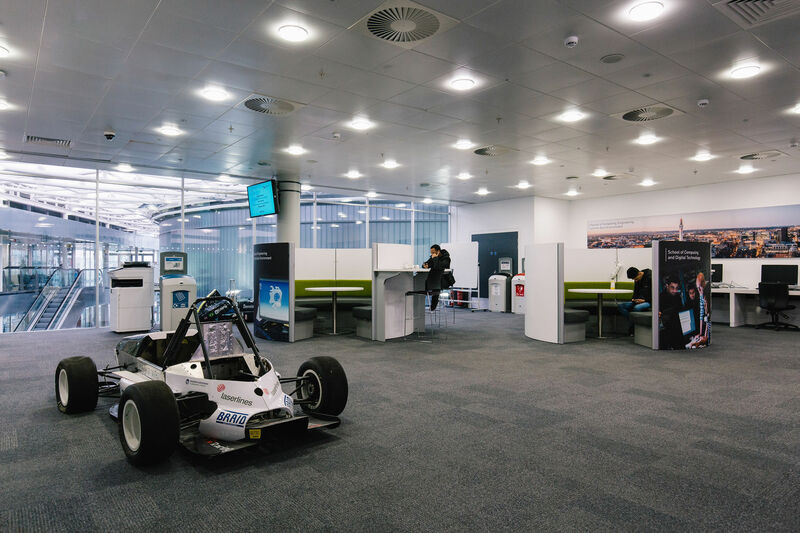 This is complemented by the Cisco Systems and Microsoft Academy Centre, both situated in-house. You’ll have access to dedicated industry-standard facilities in our own fully equipped laboratory. 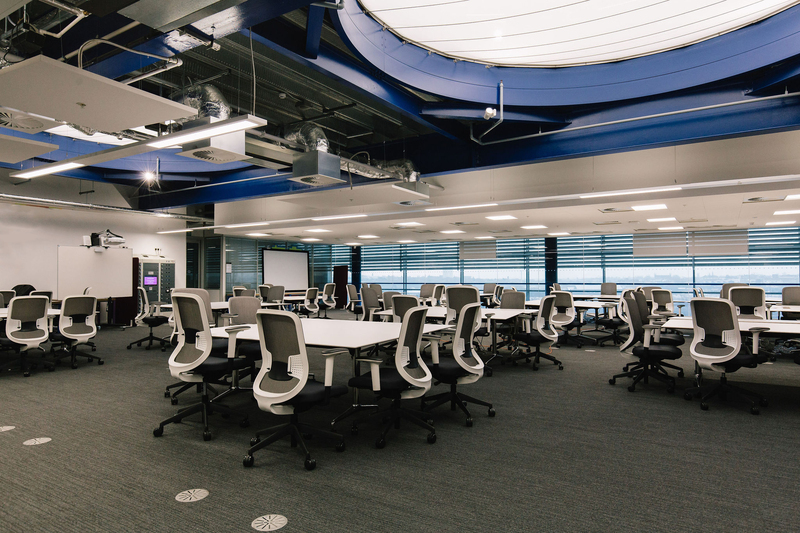 Based within our Millennium Point building, you’ll be able to undertake work such as artificial intelligence, human computer interaction, mobile and web application development, and project management. 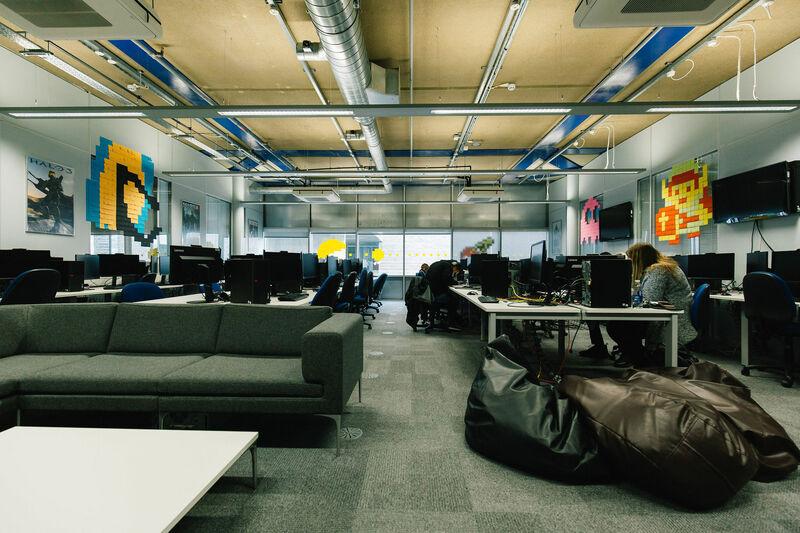 We are home to a Cisco Systems and a Microsoft Academy Centre – one of Microsoft’s top UK university-based academies – and we are a member of the Microsoft Developer Network Academic Alliance. 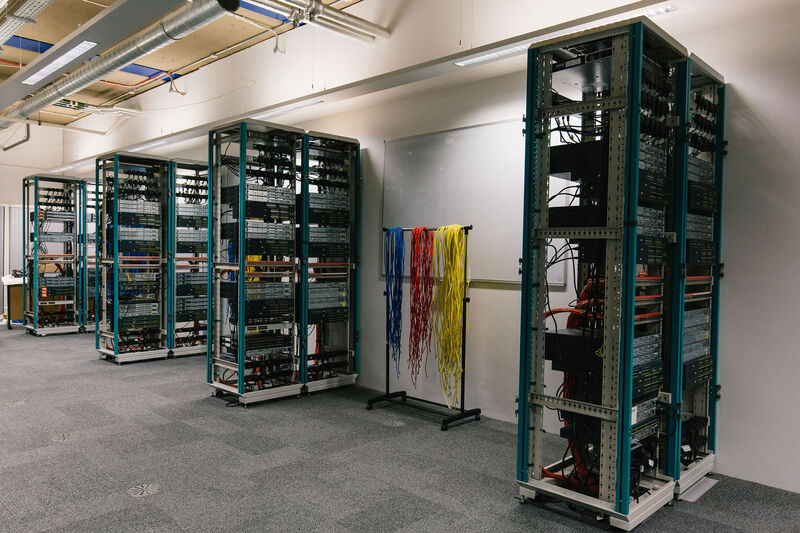 We are also a Cisco ASC (Academy Support Centre) and Cisco Instructor Training Centre (ITC) – one of only 10 such instructor training centres in the UK. You can attain a range of vendor certificates, including LPI 1 Beta certification and Cisco networking certificates, while studying for your degree. We have strong links with companies such as Oracle, LPI, Microsoft, AWS and Apple, which ensure that the course is relevant and respected by employers. Data structures and algorithms are essential in computer science, software engineering, and computer games and graphics programming. Data structures are structured representations of data; the design of a data structure determines how operations (such as reading to, writing from, modifying, or computing with the data) can be achieved. An algorithm is a set of instructions which can be followed in order to solve a computational problem. Programming is an engineering tool that plays a vital role to drive most of the modern technologies surrounding us, including the technological devices for communication, transportation and entertainment. In other words it can be said that our modern lifestyles are heavily dependent on programming. Moreover, businesses increasingly rely on computers and the software run on them. Programming skills and a broader and deeper understanding of programming are therefore becoming increasingly important to the jobs market. This module will provide an introduction to fundamental concepts associated with operating systems and will lay the foundations for other Computer Science modules that will require a broad understanding of operating systems principles. A good understanding of operating systems is very important for computer scientists in order to design efficient solutions to a wide range of programming problems including concurrent programming, resource management and performance analysis. The vast majority of web applications are connected to databases for the purpose of storing and retrieving information. On this module you will be introduced to relevant concepts and technologies, applying them to the development of such applications. You will gain knowledge and skills concerning data modelling (entity-relationship models) and relational database implementation and administration (using SQL). You will also acquire new programming skills (e.g., writing server-side scripts in PHP) in order to produce applications that provide useful functionality. You will also gain practical experience in the use of web frameworks to develop web applications to enhance your employability skills. Computer Scientists need to address the realities of the application of their field within an environment where cyber security threats present unique challenges to application and system developers, in relation to the requirement for secure design and operation. This module provides a foundation for security consideration as required in the design of software expected to perform within a networked and data sharing environment. This module has been designed to provide the necessary theoretical framework, foundations and practical support for effectively pursuing security solutions with reference to the requirement for secure application development. This module is about software engineering with a focus on software design. It covers three stages of the software engineering life-cycle, requirements, design and implementation, but with a focal point on design and an emphasis on the design theme. The standard UML is used as the modelling language, the vehicle through which important design concepts are explored to convey a software engineering ethos based on getting it right by adequately studying the problem and mindfully constructing designs of software solutions. Smart Mobile devices are now an essential part of modern life. The primary challenge for software developers lies in making the best use of the feature sets of these devices in order to provide easy and context-aware access to data and features for users ‘on the move’. This module aims to equip students with the essential design and programming skills to develop their own robust, usable and ubiquitous applications for at least one of the most popular Smart phone and tablet platforms (such as Google’s Android or Apple’s iOS). One of the major objective of the computer science program is to introduce the theory, principles and technologies underlying the construction of modern computing systems. This module introduces, Cloud Computing which is the technology that enables on-demand computing resources (everything from applications to data centres) over the internet. This technology has revolutionized modern computing by allowing users to access infinite pool of computing services and resources on a payper-use basis. This module introduces the fundamental concepts and technologies related to cloud computing architecture, platforms and services. The module follows a practical approach to equip the students with hands-on experience of cloud computing by using a public Cloud service such as Amazon Web Services. Wearables have the potential to make computer technology truly ubiquitous. With the emergence of small but powerful mobile computing devices and IoT (Internet of Things), there are more and more opportunities to exploit computing power on the move and in everyday life. Although encompassing many forms, probably the most prevalent example of wearables is seen in the emergence of more and more powerful ‘smart watches’. Artificial Intelligence (AI) is a core component of computer science, aiming at developing intelligent agents that mimic human’s cognitive capability in learning, reasoning, and problem solving. As a branch of AI, machine learning (ML) allows to create software that adapts and learns (from examples), rather than being explicitly programmed for a particular outcome. Both AI and ML rely on managing, processing and analysis of large datasets, something that Data Science (DS) is concerned with. Many services provided by technology giants such as Google, Microsoft, IBM, Facebook, Amazon, etc. are powered by DS, ML and AI. The recent advances in these subjects have already led to significant industrial applications such as self-driving cars and Industry 4.0. The Web, as it stands today, primarily depends on human understanding and the interpretation of the vast information space it encompasses. However the Web was originally designed with a goal to support not only human interaction, but also automated machine processing of data with minimal human intervention. At the heart of Semantic Web is semantic representation and reasoning of data using ontologies and knowledge engineering. This module is about investigating the next generation of the Web, whose key distinguishing characteristics will be the support for and use of semantics in new, more effective, more intelligent, ways of managing information and supporting applications. The module will look into different aspects of Ontology representation, creation, design, reasoning, programming and applications. The course is focused on ontological engineering, which represents an important part of Semantic Web development. This module will focus on combining theoretical concepts around user experience design with practical “hands-on” approaches used widely in industry and academia to create effective interactive experiences. You will learn about the user-centred design process that places a core emphasis on designing products, applications, and software for “people”. In particular, you will learn techniques for gathering and understanding a target audience’s requirements, the importance of universal design and accessibility, and methods for undertaking rapid prototyping. A core emphasis will be placed on gaining practical experience around how to design, conduct, and analyse usability studies (utilising a variety of evaluation techniques) and then incorporating key findings back into the design process. You will apply this knowledge to collaboratively design and evaluate an innovative digital prototype using industry standard tools. This module covers the fundamental principles of service-oriented design and the core technologies that enable the implementation of service-oriented systems. It aims to equip you with the key skills and knowledge in order to perform service-oriented systems design and implementation. 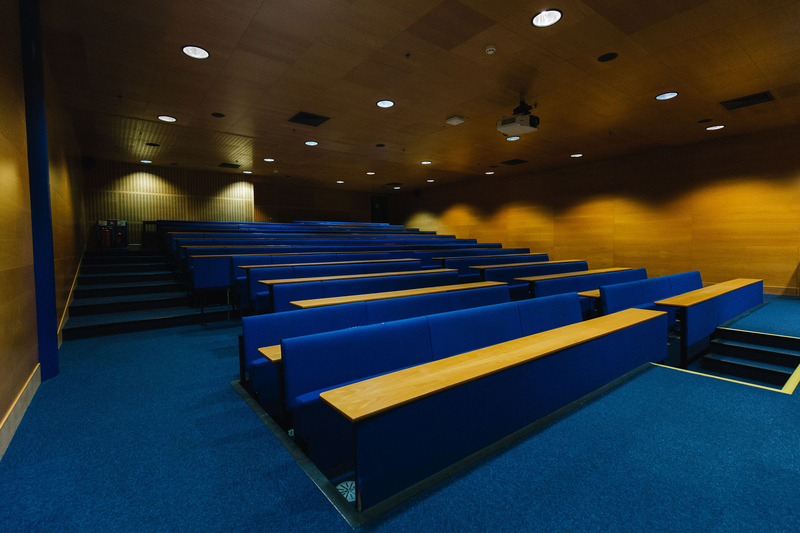 Knowledge and understanding are acquired though a mixture of formal lectures, tutor-led seminars and practical activities, with other independent learning activities at all stages. Emphasis is placed on guided, self-directed and student-centred learning with increasing independence of approach, thought and process. 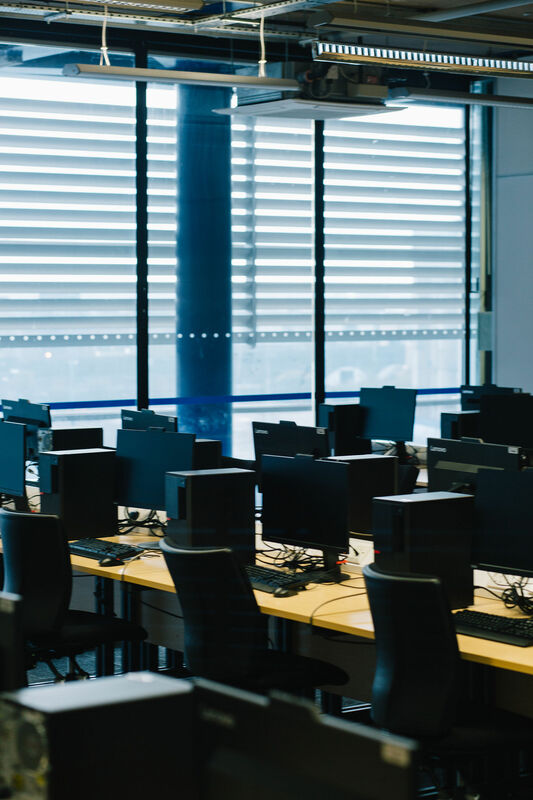 The course provides access to effective commercial development environments and ensures students have practical awareness of computer systems requirements. You are required to meet strict deadlines, and to manage and plan your overall workload. Knowledge is assessed formatively and summatively, by a number of methods, including seminars, course-work, viva, presentation, interactive automated assessment, formal examination and project work. Assessment criteria are published both at a generic course level and to provide guidance for individual items of assessment. Anonymous marking systems are in place for all formal examinations. You will undertake a major project involving research and application of that research in the solution of appropriate systems problems. Marcus Miller always had an interest in computers but a boarding school education saw that fade. After a few years in employment, he rekindled his passion – undertaking a Computer Science degree at Birmingham City University. Since then, he has set up his own successful SEO consultancy company, Bowler Hat. Search engines and social media continue to change the world and I believe this is just the beginning; everyone now has access to information in a way that was not possible only a few decades ago. With Bowler Hat, our vision is to provide world-class digital marketing to companies of all shapes and sizes, from one bands to SMEs. Building a business has been tough, but we now have clients around the world, from New York to Australia and all the way back to Birmingham. Marcus enjoyed every element of his course; almost having too much fun. He had some great teachers and was generally very inspired. Our Computer Science BSc (Hons) course sparked his interest in web technologies, which led to the creation of Bowler Hat. Our graduates typically design and implement software across such rewarding areas as web development, interface design, security issues and mobile computing. We know that employers are looking for graduates who have a good balance between in-depth academic knowledge and technical and practical expertise, which is why our course is geared towards employability. What you learn on our course will help you to stand out when you look for your first professional role and because you’ll know how to use sophisticated, industry-standard equipment and software, you will be able to demonstrate that you can put into practice your deep theoretical knowledge. We will also prepare you for a career by equipping you with myriad transferable skills, such as complex problem-solving expertise, the ability to analyse in a careful and considered manner, and working as a team member. In addition, our specialist industry links with the Linux Professional Institute, the Oracle Academy, Cisco, and Microsoft, Apple, and Oracle, plus our world-class facilities, will mark you out as a highly employable graduate. 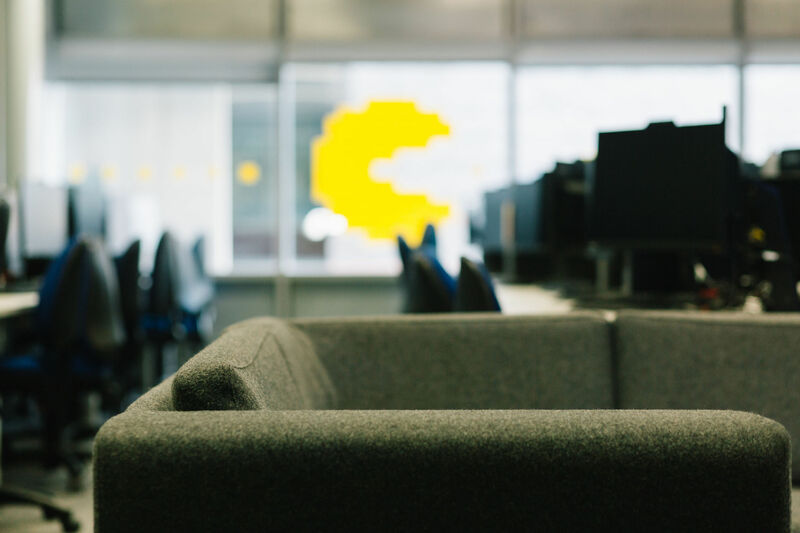 It’s why our graduates have gone on to pursue computing and software development and designer careers in a wide range of industries, from SME software companies, to industry, government, banking, and healthcare. Successful completion of the course can open up opportunities for employment in IT industry, but you may think to continue your studies at postgraduate level, studying a computer science subject in greater detail by means of MSc or PhD. Although postgraduate study may appear essential for a career in academia, recent statistical evidence shows that it can also be useful for a range of other careers. For example, in 2014 the Department of Business, Innovation and Skills noted that someone with a Master’s degree earns on average £9,000 more per year than someone with a degree qualification. According to the UK Commission for Employment and Skills (2014) observation, one in seven jobs will require a postgraduate qualification by 2022. All these facts indicate the contribution of postgraduate study to employability is increasingly significant. We aim to have you employer-ready by the time you graduate and, as part of your Computer Science course, you have the option of undertaking an industrial placement after the second year of study. If you decide to do this, it will extend the duration of your course to four years. Thanks to our excellent partnerships and working relationships with some of the UK’s leading companies, you have the chance of undertaking a high-quality industrial placement with leading organisations such as IBM, Dignity Plc, Mortgage Brain, and Griffiths-Waite. Because our course is uniquely designed to meet employers’ needs, you’ll be highly sought-after when you come to graduate. It is why many of our graduates have gone on to work for top companies including IBM, Griffiths Waite, Capgemini and Birmingham City University. Our course covers cutting-edge topics in computer science that will leave you well-prepared to take on any of a diverse set of roles, including Software Developer, Usability Engineer, Security Expert, Mobile Application Specialist, Network Administrator, Database Administrator, IT consultant, Information Systems Manager, Systems Analyst and Teacher. Tammy Yeshua described undertaking a year-long placement as part of her BSc (Hons) Computer Science degree as the "best decision she has ever made". Her work for technology giant IBM led to her securing a place on a two-year graduate programme with the same firm as a Technical Consultant after she graduates. In her role as a Maximo Support Dispatcher, she got to interact with big-name clients around the world, including Cisco, BP and Heathrow Express, building up her confidence and communication skills. As a result of my experience in IBM, I have been head-hunted by three different companies, which has been a huge compliment. Several of my personal skills have improved considerably, such as my confidence and presentation skills, which I am hugely grateful to IBM and my team for. Khaled started his academic career, in September 1999, as a Lecturer (US hierarchy) in Computer Science & Engineering at the Department of Computer Science and Engineering, Ahsanullah University of Science and Technology, Dhaka, Bangladesh, where he worked until March 2001. From May 2006 to July 2007, Khaled served as Research Assistant at City University London. During this period he was involved in several EU funded projects including Serenity (System Engineering for Security & Design, FP6 EU Project); SeCSE (Service Centric System Engineering, FP6 EU Project). Between August 2007 and July 2008, Khaled worked as an Assistant Professor in the Institute of Information & Communication Technology, Bangladesh University of Engineering & Technology (BUET), Dhaka, Bangladesh. Between July 2008 and July 2014, Khaled worked as a research fellow at City University London and was a member of the ASE@City group. During this period he has actively contributed in several EU funded projects including: CUMULUS (Certification Infrastructure for Multi-Layer Cloud Services, EU FP7, STREP Project); ASSERT4SOA (Advanced Security Service cERTificate for SOA, EU FP7, STREP Project); S-CUBE (The Software Services and Systems Network - FP7 EU Project); SLA@SOI (Empowering the Service Economy with SLA-aware Infrastructures, EU FP 7, Integrated Project) and Gredia (Grid enabled access to rich media content - FP6 EU Project). In August 2014, Khaled joined Birmingham City University as a Lecturer in Software Engineering. Richard worked on the telecommunications development and related commissioning, manufacturing and CAD/CAM from 1976 to 1979. He worked on IT user and systems support and programming from 1979 to 1995 at UCE (previously Birmingham Polytechnic). Since then he has worked as a lecturer and senior lecturer at BCU (previously UCE).